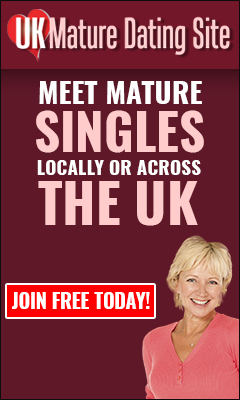 Denise is looking for dating over 50s in her area. I have been single for 18 months and feel it is time to start living again. I have 2 fantastic kids, a grandson and a dog who are my world. I love to travel and have been lucky enough to visit many fabulous places. I love weekends away in the Peak District, Wales or the Lake District walking the dog. I am self-employed and work from home. I live in a beautiful cottage in a little village in Lincs. I am a bit dizzy at times although i can be sensible when i have to be. I enjoy a laugh and am very loyal to my family and friends. I am single,never been married and i am here looking for a life time partner to love and start a new life with. I just don’t believe in divorce and thats why i am here for a long term relationship. I enjoy jokes and comedy movies.I love good conversations over a cup of coffee or glass of wine, candle light dinners, walks in the park or beach, dancing, entertaining, traveling, reading books of substance/self help/inspirational, writing and quiet evenings at home too. I am one man woman and i don’t believe in cheating in a relationship.I like to swim, ride, read, listen to music ,beaches, fishing, riding, Camping, Dancing, Singing ,Reading , Cooking and spend great time with my partner and make him happy. I am a Bible believing Christian, Who studies the word of God. Love God, Jesus, and the Holy Spirit. Pop Music, Jazz Music, Movies, Dancing, Animals, Gardening, DIY/Crafts, Reading, Cooking, Travelling and Keep Fit. Pop Music, Classical Music, Jazz Music, Country Music, Rock Music, Movies, Gardening, The Arts, DIY/Crafts, Reading, TV/Radio, Computers, Travelling, Keep Fit, Sports (Playing), Sports (Watching) and Green Issues. Im a single adventurous lady. I have been separated for over 2 yrs and have enjoyed being single for this time. I am now looking for a soulmate to share nights out, in holidays etc. I am mum and gran but certainly dont sit in a high chair knitting. I enjoy spending time with my pets family and friends. I love travelling and time away. I am average height with curvaceous figure, blonde (unfortunately not natural) i take pride in my appearance but not a fashion victim. I think im a nice person who enjoys nice things and i have a good sense of humour and can laugh at myself. The most important things to me are happines and laughter. I love animals and own dogs and cats. I used to be a keen horse lady but now leave that to the younger members of the family. I have lots of spare time and enjoy swimming and walking during the day. I am a giver not a taker. I am a reformed non smoker with good health and a positive attitude to life. Pop Music, Country Music, Rock Music, Theatre, Dancing, Animals, The Outdoors, DIY/Crafts, Restaurants, Pubs/Clubs, Reading, Computers, Internet, Travelling, Keep Fit and Sports (Playing). I am a genuine person kind and passionate . I love romance and lots of laughter. My idea of a perfect date is a nice quite bar or restaurant for drinks getting to know each other with a long chat. Pop Music, Classical Music, Jazz Music, Country Music, Rock Music, Movies, Theatre, Dancing, Animals, The Arts, Restaurants, Reading, TV/Radio, Internet, Cooking, Travelling, Keep Fit and Sports (Watching).